I love bringing the flavors of traditional Indian comfort food to my table. I have always been a fan of the vast array of culinary offerings of street food. From Puchka to Jhal Muri, momos to vada pav, I love it all. If you are a chaat lover then this recipe is for you. Ragda Patties - A lip smacking and finger licking Mumbai/Gujarat street food. 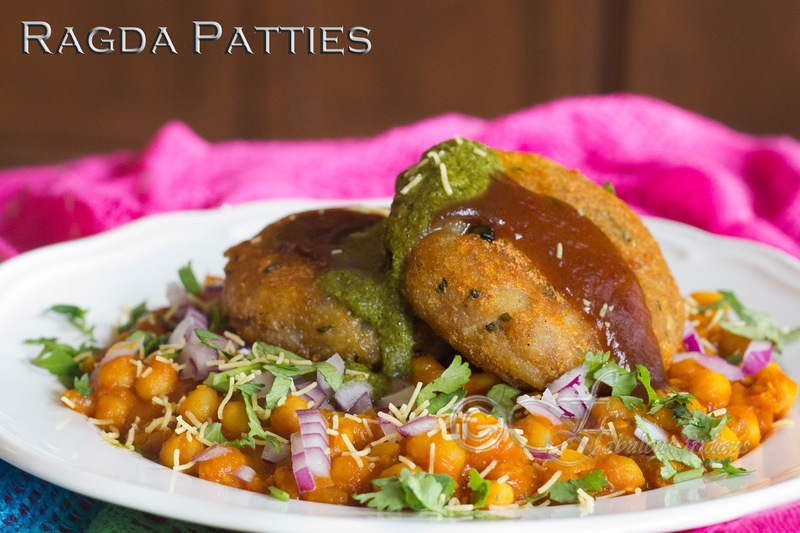 Ragda patties are what Tikki Choley is to North Indian chaat lovers. The concept is the same, only flavors are more in tune with Maharashtrian cuisine. There are two main parts to this dish, the Crisp hot patties (potato Tikkis) that are served over a ladleful of hot dry yellow peas curry (Ragda) cooked with an array of spices, topped with green and red chutneys, onions and crisp Sev. An attractive dish with flavors bursting in every spoonful. Serve it as a starter or as a mini meal for brunch/lunch. White peas need to be soaked overnight. If that is not possible then a minimum of 6 hours is definitely required. I always pressure cook the soaked peas. I recommend pressure cooking peas as its the quickest way to cook them properly. Potato patties can be both shallow fried or deep fried. 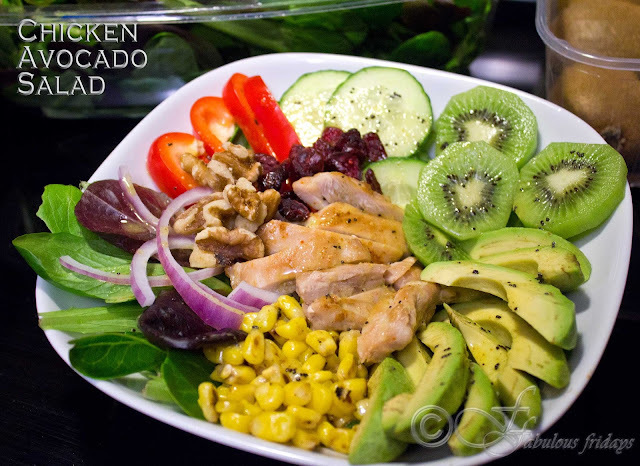 An array of toppings really adds to the whole flavour quotient of this dish. So make sure to try a few of them. Make Ragda - Take the soaked white peas with 2 cups of water along with turmeric, chili powder, salt, and pressure cook till the first whistle, simmer for 2-3 minutes and take off the heat. I like the peas to hold their shape and not mush up too much. If you want you can cook a bit more for a more blended curry. Once the pressure releases, open the lid. Keep aside. In a pan heat oil. Add chopped onion and fry till pink. Add ginger garlic paste and cook for a few more minutes. Add tomatoes and cook till you see oil at the side of the pan. Add the cooked peas and the dry radga masala. Crush a few peas using the back of the ladle to make the curry more smooth. Add some water if the peas become too dry. Continue to cook until all the flavors blend in together. Adjust seasoning. Make Patties- Mash boiled potatoes. Add all the ingredients listed under patties. Combine well and shape into eight small cutlets. Shallow fry the patties until golden brown and crisp. 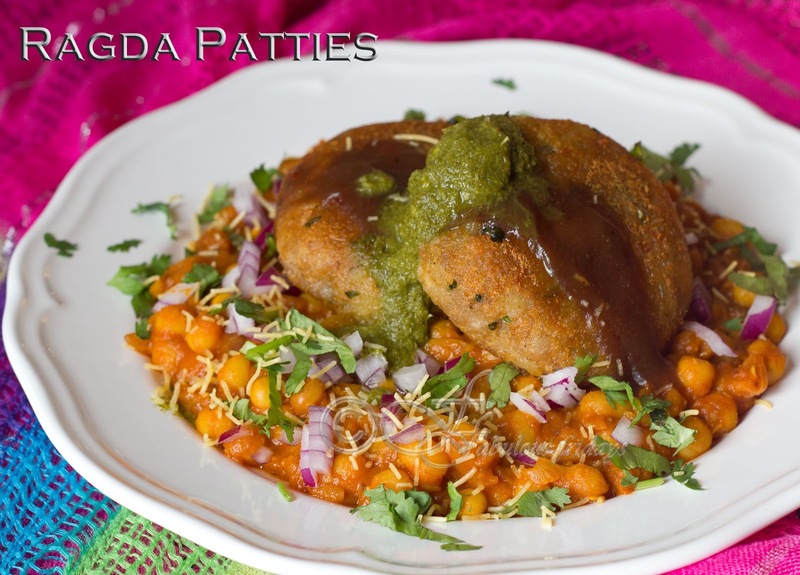 Serve - In a plate spoon some prepared ragada and place patties on top. Top it with green chutney and tamarind chutney. Add some chopped onions, tomato, sev and coriander leaves. Sprinkle chili powder and cumin powder (optional). An easy and fun entertaining idea that comes together rather quickly and requires no cooking, just assembling. Antipasto is the traditional first course of an Italian meal. 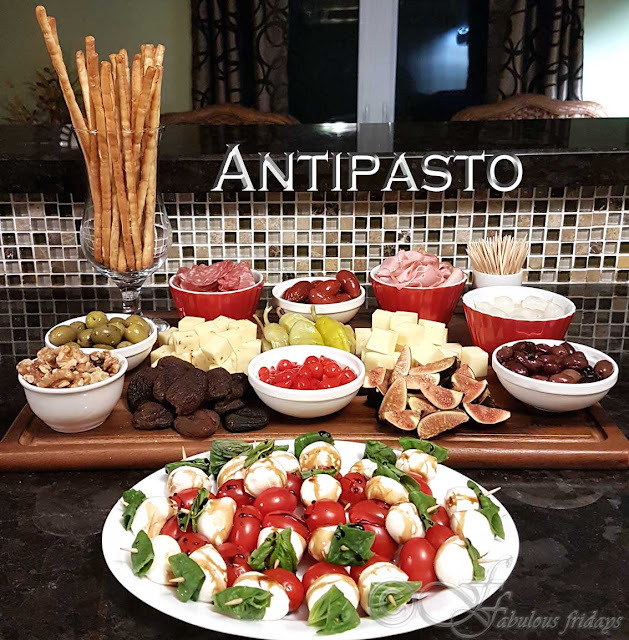 An assembly of small bites of finger foods served with wine before dinner to stimulate the appetite and may contain an assortment of fresh cheeses, cured cold cuts, a variety of olives and other pickled veggies, fruits, nuts, crackers, and breadsticks. Most of the ingredients can be store bought, but you can add your own touch to a few things to give a flavor boost. For a relaxed and delicious start to any dinner party or cocktail party serve up this beautiful plate of goodness. Choose from this list of possible candidates. Olives - serve a variety of different olives. You get excellent marinated olives in the olive bars of grocery stores these days. You can also customize your own by flavoring them with herbs and spices. Nothing better than this briny goodness with a glass of cabernet. Cheese cubes - serve both aged and fresh kinds of cheese and try to incorporate sharp and mild ones to suit every palate. Pecorino Romano, bocconcini, Havarti, Parmigiano Reggiano, provolone, brie, gouda, provolone. You can marinate bocconcini or cubed feta in olive oil flavored with red chili flakes and fresh or dried herbs. Cured cold cuts - salami, prosciutto, ham, sardines, pepperoni, turkey breast. Vegetables - Add a burst of color and freshness, choose from an assortment of jarred marinated artichoke hearts, pepperoncini, pearl onions, roasted red peppers, capers, garlic. Or cut up some fresh carrots, radish. Fresh and dried fruit - Bright and colorful array of fresh and dried fruit will add an oomph to the antipasti. Choose from fresh figs, grapes, cantaloupe, dried apricots, grape tomatoes, berries. Nuts - walnuts, pine nuts, pecans, roasted almonds. Breads and flatbreads - Garlic bread, crackers, breadsticks, rustic white, focaccia with rosemary. Dips - marinara sauce, pesto sauce, hummus, tapenade. Just a few commonsense Antipasto Rules. Keep it simple and rustic so as not to overpower the main course, unless this is an appetizer and cocktails only party. 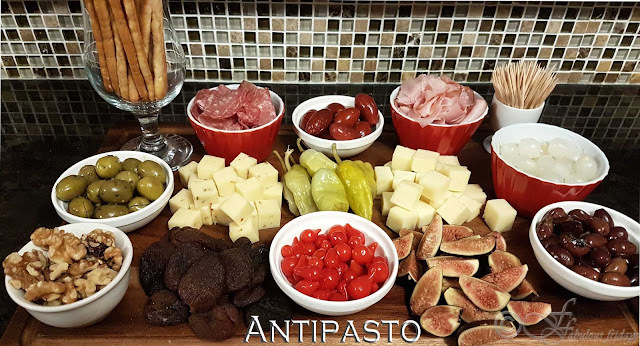 Antipasto should always complement the main meal that you plan to serve later. To make interesting and eye-pleasing antipasti make sure to blend flavors, colors, and textures. Give your guests a choice of sweet, savory, spicy, sharp, crisp and crunchy. The antipasti above consists of three varieties of olives, pickled pearl onions, pepperoncini, sweet pickled bud peppers, 2 types of cheese one sharp and one mild , cured meats - ham and salami, fresh figs, sundried apricots, walnuts, breadsticks and Caprese salad bites (mini bocconcini, grape tomato and fresh basil leaf on a stick sprinkled with a little salt and pepper and drizzled with balsamic reduction). 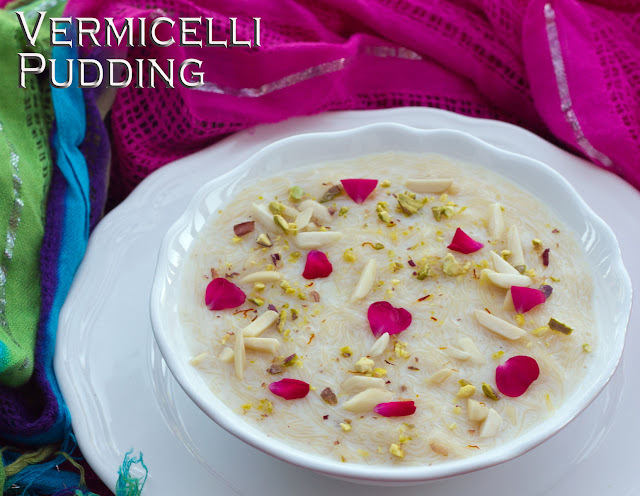 Seviyan payasam (Vermicelli Pudding) is a simple and delicious dessert made with milk and roasted vermicelli, cooked together with aromatic spices to a custard like consistency. Made specially during festivals and special occasions, seviyan pudding is a must make dish for Eid. Served it hot or cold. Vermicilli is a thin spaghetti like pasta made from either whole wheat flour, semolina flour, rice flour or all purpose flour. It can vary from very fine to thick. Usually I use the fine whole wheat variety as it is the fastest to cook. But you can try any of them. Just adjust the cooking time and amount of liquid. Pre roasted fine vermicelli is also available in stores. If you happen to buy that then you can skip the first step. A vegan variation of this pudding is where you leave out the milk and cook the vermicelli in sugar syrup. The dish comes out all caramelized and butterscotchyy and yum. I recommend using the thicker vermicelli for this variation as it will absorb more liquid and caramelize better. Starting off the new year on a sweet note. Heat ghee in a heavy bottomed pan and lightly fry the vermicelli till golden. Omit this step if you have purchased pre roasted vermicelli. Pour milk and bring it to a gentle boil. Add the saffron concoction and stir. Simmer for -10 minutes, stirring often till the vermicelli cooks thru and the pudding thickens a bit. Add sugar and mix well till it dissolves. Remove from heat and flavor the pudding with cardamom powder. Mix half the chopped nuts. Use the remaining nuts as garnish on top. As it cools down, the pudding tends to thicken. So add more milk before serving. Alternatively add more milk while cooking and don't thicken the dish too much.